With the British pound getting closer and closer in value every day to the euro, it's hard not to consider what will happen when the currencies align. The Guardian comments on this 'psychological moment' in a piece a week ago, when the high street rates (after commission) gave less than one euro for your pound, when a year and a half ago, you would have got around half as much again for each pound. "Sterling's decline to a value of less than a euro, after commission charges, is seen by economists and opposition politicians as a pivotal 'psychological moment' - and evidence of declining faith in the British economy on global currency markets." It's not a given - and there will likely be a struggle before it happens - but there is a possibility that the United Kingdom could adopt the euro, and that time may not be too far off. The thing I'm more curious about though, more than the situation in the UK, is the situation in the Isle of Man if the UK were to adopt the euro. The Isle of Man has it's own currency - the Manx pound - that is linked in value to the British pound. Coins are similar in overall design characteristics, portray our head of state (Elizabeth II), and have a local design on the reverse. The currency can be spent on-Island but not off, while the British pound can also be used on-Island. "The Isle of Man Government is presently planning to ensure that necessary preparations will be in place for the eventuality of a single currency, irrespective of whether the UK participates in monetary union in 1999. 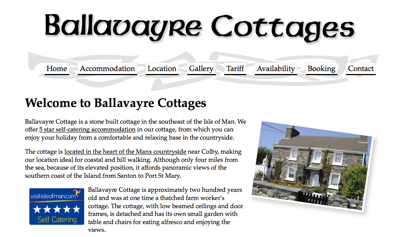 It allows for the continuation of the accrual of investment income from the issue of Manx notes and coins. While it will clearly be necessary for the technical specifications of notes and coins to be the same as other euro issues, the Island is preparing its own designs for Manx euro notes and coins." So, the Isle of Man could adopt a Manx euro, similar to the current Manx pound, whether or not the UK adopted it. But what would the currency have have on it? The Island is not part of the UK, nor part of the European Union (though it has certain ties to both). It has managed with the current psuedo Sterling currency since 1971, with very little confusion other than when people try to spend the money in the UK. 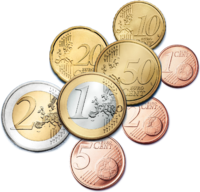 With the euro, where each issuing country has their own designs on one side of their coins, having a Manx euro would create one more design on the equivalent of that 'national side' as well as a replacement 'common side' that differentiated it from 'real' euro coins. There's much more potential for confusion than with the British/Manx pound. It would be interesting to get a glimpse of the designs that the Government were preparing a decade ago to see how they have retained the basics of the euro, highlighted that it is not a normal euro while also adding a Manx look to the currency. How would you feel if the Isle of Man were to adopt the euro? Can you see it happening any time soon? What images would you like to see on the currency if it were to be introduced? I spent some time last year making some maps of the Snaefell Mountain Course (and other roads) on the Isle of Man so that I could add an overview map to the Wikipedia entry for the course. Last night I was trying out some of the options in the OpenStreetMap 'export' tab, and since it can now export SVG (scalable vector graphics) files, I thought I'd have a try at redoing the maps from last year in a more re-usable and editable form using vector graphics instead of bitmaps. To make the SVG map using data from OpenStreetMap (as shown in the preview), I just followed some relatively simple steps and a little trial and error while using the graphics editor. I thought I'd share some of the steps below, in case anybody else was interested in making maps from the great data becoming available in the OpenStreetMap project. So, what's needed to make your own custom maps? An area of OpenStreetMap that's got enough information in it to be useful for your purpose. If the data you want is not all there, or you want to add more, see the beginners' guide and the map making guide to get you started off adding or improving data in the project. 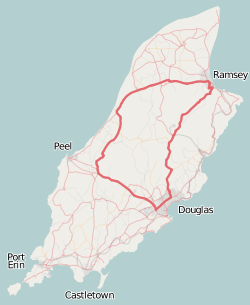 An SVG image generated from OpenStreetMap using the export tab. To export your vector graphic file, zoom the main map into the area you want to export, click on the export tab, tweak the area you're interested in (if necessary), select 'Mapnik image' and 'SVG' from the options and click Export. Experiment with the scale to see what the results are, but initially the default scale will probably suffice. A vector graphics editor such as Adobe Illustrator or, even better, an open source editor such as Inkscape. Open the downloaded SVG file in your editor and you should see a nice pretty OpenStreetMap image there. To start to work on it, it's a good idea to 'ungroup' the items so that you can edit them individually (I had to do this twice to fully separate out all the objects). You'll notice that the map is made up of many objects, one for each node and way you'd normally see rendered on the maps at openstreetmap.org. 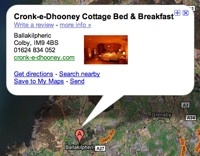 You'll also notice that text annotations (names, road references, etc.) are all broken down to their constituent characters too. Some time to do some (at times quite fiddly) image editing and map making. You can get some results out in a relatively short timeframe, but you'll likely want to improve the map over time as you become more familiar with the data and tools available. What steps were needed to create the TT map? Select all the items and fade them (I lowered the level of transparency, but there are probably better ways of doing it). Select the text items, group each the characters of each name together to make it easier to edit them, re-emphasise them, and change their size if desired. Select any other items that should be re-emphasised and do that (I did the sea and the land). Select each element of the subject that you'd like to highlight (for me, this was each way that makes up the course) and change the styling of it (I increased the size, and re-emphasised the original colours). I also combined them all into a single 'path' and joined the end of each one to the end of the next (using the 'Edit paths by nodes' ad 'Join selected end nodes' tools) to make it fill in the gaps that appear between them. Hopefully this short tutorial (well, documentation of my first steps) was helpful for other budding neo-cartographers out there. 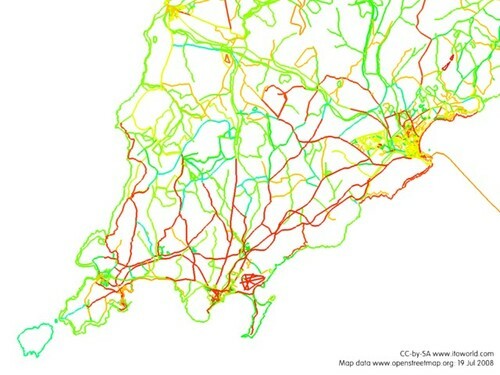 If you've made your own maps from OpenStreetMap data and have any hints and tips that may be useful, please feel free to add a comment to this post.